As one of the most iconic companies in the entertainment industry, Pixar has created plenty of successful animated films that are entertaining for all ages. But while they’re still focused on producing projects for the big screen, the studio has also been releasing animated short films. This year, Pixar even started the SparkShorts program to challenge their animators to create high-quality shorts in the span of six months. The resulting projects have covered a wide variety of topics, and some even tackle real world issues. This is often a daunting task for most filmmakers, but Pixar thoughtfully addresses these topics through their imaginative, heartfelt storylines. “Bao” is a Pixar original that centers around a mother who, after having a falling out with her son, finds a second chance at motherhood when one of her dumplings comes to life. Director Domee Shi took inspiration for the story from her own childhood, and it definitely shows in the film’s attention to detail (such as the step-by-step process of making homemade steamed dumplings seen in the beginning). The film also succeeds in depicting the challenges and complexities of parent-child relationships over time, such as the latter’s desire for independence and the parent’s struggle to accept that their children are growing into young adults. 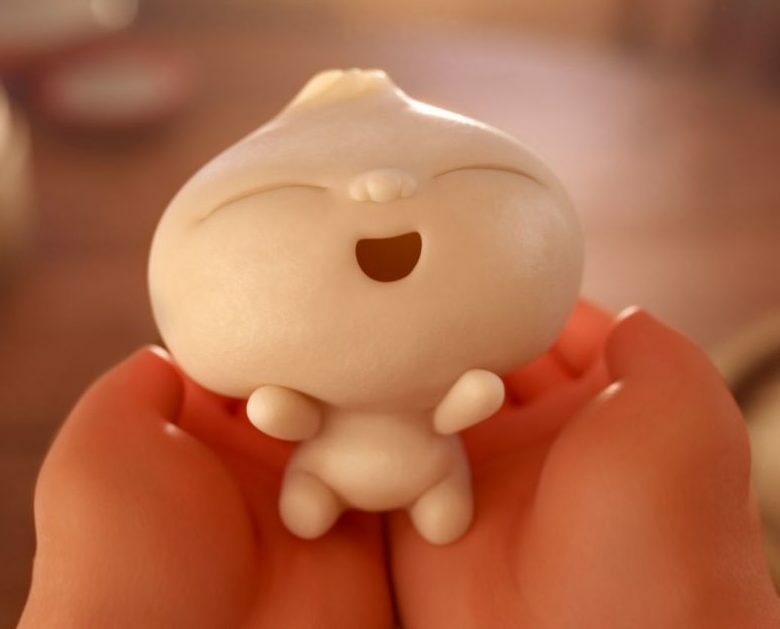 “Bao’s” powerful message was one of the main factors that contributed to the film’s win for this year’s Academy Award for Best Animated Short Film. “Purl” tells the story of a ball of yarn starting a new job at a company comprised of human employees. As the first project to be released from the SparkShorts program, this short tackles the difficult subject of equality and individuality in the workplace (though the issue itself can apply to various social situations). Purl’s struggle with wanting to fit in with her coworkers, and still remaining true to herself, is an internal conflict the audience can relate to. The character design plays a huge part in driving this message home; the office and human employees are encapsulated in neutral colors and sharp edges, while Purl’s cheerful and creative nature is represented through her bright pink yarn and softer art style. A stray kitten and a lonely pitbull are featured in the short “Kitbull,” where the only thing they seem to have in common is the junkyard they call home. It’s both heartwarming and heartbreaking to see their journey toward confronting their fears (such as Kitten’s wariness of Pitbull due to her intimidating appearance) and gradually becoming close friends. The short also alludes to the appalling nature of pit fighting, which is an prominent issue that younger audiences are often shielded from. Pixar approaches the subject in a way that emphasizes the cruelty animals endure in these situations, without sugarcoating the details or scaring audiences with scenes of excessive violence. If these projects are any indication of what the SparkShorts program has in store, it seems as though audiences should be expecting more memorable content from Pixar in the near future.